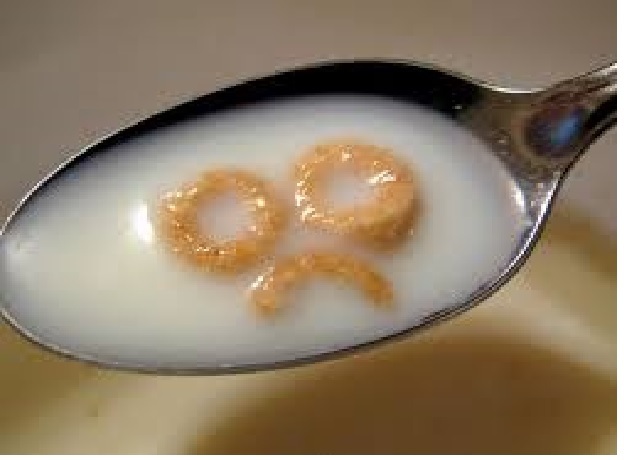 Back in the spring – March 7 to be exact – National Cereal Day was celebrated from sea to shining sea. OK, that’s exaggerating. Our entire nation didn’t honor it. It was largely done so by Twitter users. And it’s not really National Cereal Day, it’s more like #NationalCerealDay. These aren’t real holidays – they’re hollowdays – they’re empty, there’s not much to them. They’re days often set up by marketers to help sell industries or products, and they’re primarily celebrated only on social media. If your workplace, school, or home isn’t really celebrating and you’re spending more time tweeting about it than actually observing it, then it’s a hollowday. Still, they serve a purpose and can be a lot of fun on social media. We sometimes join in the fun ourselves. And while this obscure cereal occasion was celebrated, we noticed a disturbing trend: dads advertising for companies like General Mills and Kellogg’s, companies who have a regular history of ignoring fathers through slogans, general marketing and even on cereal boxes. So why would dads plug a company that doesn’t place value in them? Influencer marketing can be powerful and it certainly has its place. We all know how it works: companies identify individual “influential” people – rather than a certain market – and intentionally use those people by controlling the content of their blog stories, testimonials, social media posts and photos. These companies are asking those people to purposely write about a brand in order to exert influence over possible buyers. Along the way those influencers gain income, kickbacks and plenty of attention – that is, adulation in the form of likes/follows. It’s true that all of it can result in an inflated ego, but welcome to the world of influencers. Is influencing always what it seems? At the same time, influencer marketing can also offer deceit. It’s common practice for influencers (though, not all) to buy followers that represent bots to make profiles appear more impressive. Most people don’t buy it, but interestingly, a lot of companies overlook it all in the name of numbers. Some influencers have real followers and they worked hard to gain every one of them. So, it’s easy to see that dad bloggers have sway more than ever before, but with great power comes great responsibility. If dads want to be recognized as fully competent parents and equal to their parental counterparts in the world of influencing, spending, retail and commerce, know this: they’re contributing to the problem. Dads can’t be supporting dad-unfriendly companies in the name of freebies, likes, media attention, more followers, or even in the name of fun. That’s called selling out. 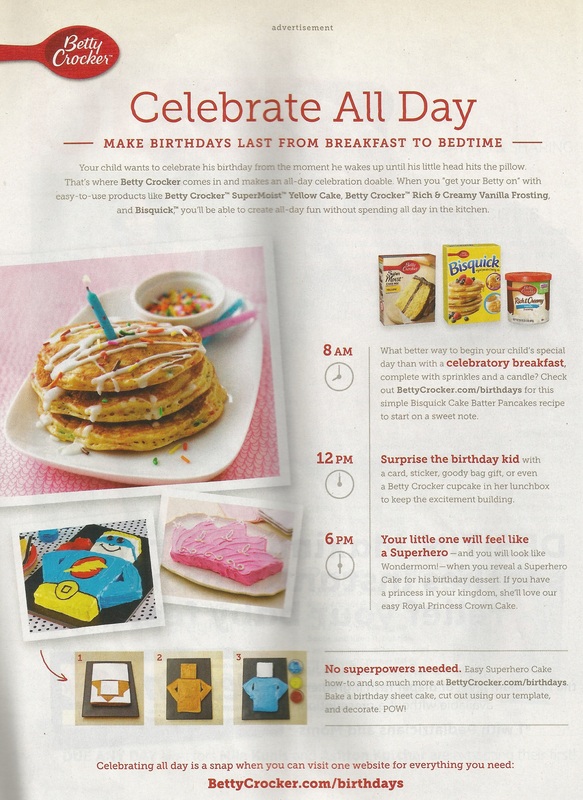 If you’re a dad helping to promote, say, General Mills, have you thought about what you’re helping to endorse? Some of its brands, for example, continue to ignore and discount you with exclusionary messages and slogans stamped on the front of every box. So when you plug these companies, you’re offering a stamp of approval to what they do – and that’s wrong. If men truly want to be valued as prime influencers and be treated equally everywhere they go online and in person — schools, doctor offices and even by the children in their own homes — it’s time to speak up and take a stand. All of those goodies, swag and likes aren’t worth it if they’re feeding the monster. Those companies who disregard fatherhood will continue to get away with exclusion and won’t value true purchasing and parental power if influencers give in. Being an influencer carries weight, and if dads really want to influence someone, stand up and speak out. Tell them that not all parents are moms. Tell them that you matter as a parent and a customer. Hollowdays aren’t worth it. Last April, we penned an entry which spoke of the wonder of Cheerios. In our estimation, it has been the perfect cereal since birth, a spectacle of simplicity combining a healthy, any-time-of-day food option with surprising versatility for enjoyment beyond basic sustenance. Our many tastes change with age – clothing, books, TV, music, movies – but not Cheerios. We’ve enjoyed it our entire lives, from birth to old age, and there aren’t many cereals or even entertainment options which can claim that. Cheerios has securely been part of our lives. We love it. It loves us. Its round shape is practical, if not symbolic, a reminder of our eternal and endless love, which like a circle has no beginning and no end. But then, like a marketing executive suddenly turned to the Jif Side of the Force, we noticed a bizarre, Kix-like web page that made us think otherwise. It was as if Cheerios instantly soured to everyone – moms and dads, young and old, large and small – by showing favoritism to one and ignoring the other, trying to tear apart so many of us that shared this common, charming cereal bond. That’s when we wrote about this marketing aberration which made us so confused and angry. You may recall that at that time, Cheerios was actually getting a lot of praise for its dad-loving TV commercial, which may have been the reason its web-based dad exclusion flew under the radar. We tried communicating with General Mills several times, but to no avail. Fast forward to today, some nine months later, when we occasionally like to check up on our topics, and we were pleasantly surprised to discover that web graphic no longer exists at cheerios.com. Eager to know more about the change, we reached out elsewhere, this time with the excellent Kirstie Foster, public relations and social media director at General Mills. Hi there! We’ve always thought the world of dads. Many factors led us to the decision that it was finally time to show it. How about that? No, it wasn’t a direct shout out to dadmarketing, but we like to think we had a hand in the change. We may be a small, upstart organization, but our influence and message shouldn’t be understated. 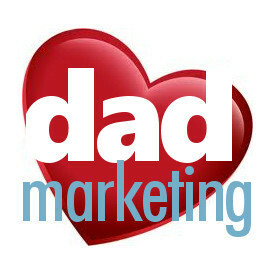 Dads have been left out of the marketing messages too long, too often. Cheerios no doubt recognized that, and we’re proud of those involved with the change at General Mills. 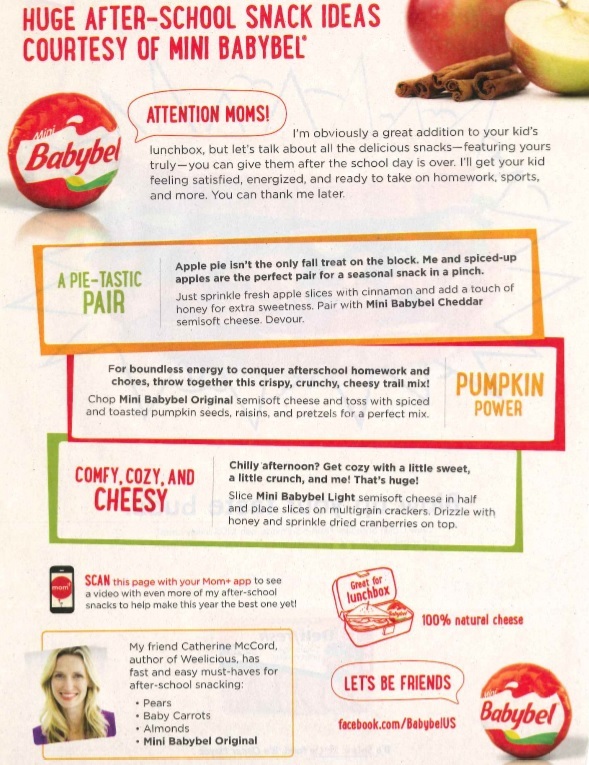 Think about Jif’s “Choosy Moms Choose Jif.” How sexist and old fashioned is that? Cheerios changed for the better, so why can’t Jif? Why can’t others? We’ll keep beating the drum until others reach Cheerios status, and maybe together – through sharing, talking and communicating – we’ll help more of them become products we can stick with for a lifetime. Trying to rid the world of dad exclusion regarding anything kitchen related is like asking a Kardashian to stay away from a camera lens. It’s a challenge, but dadmarketing came into being just for this. 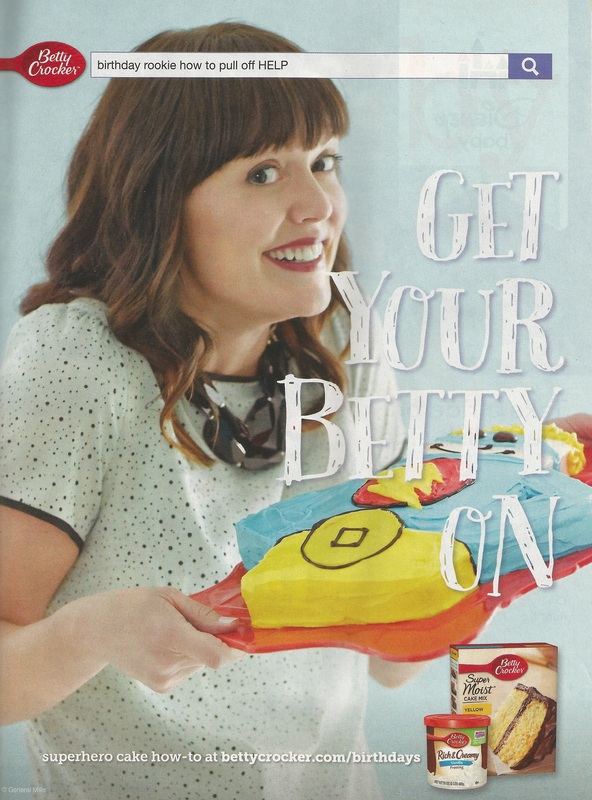 Our latest offender is Betty Crocker, which should not come as all that surprising. But what is surprising is how Betty Crocker did it, and so very unnecessarily. A quick look at the ad reveals nothing glaringly wrong. 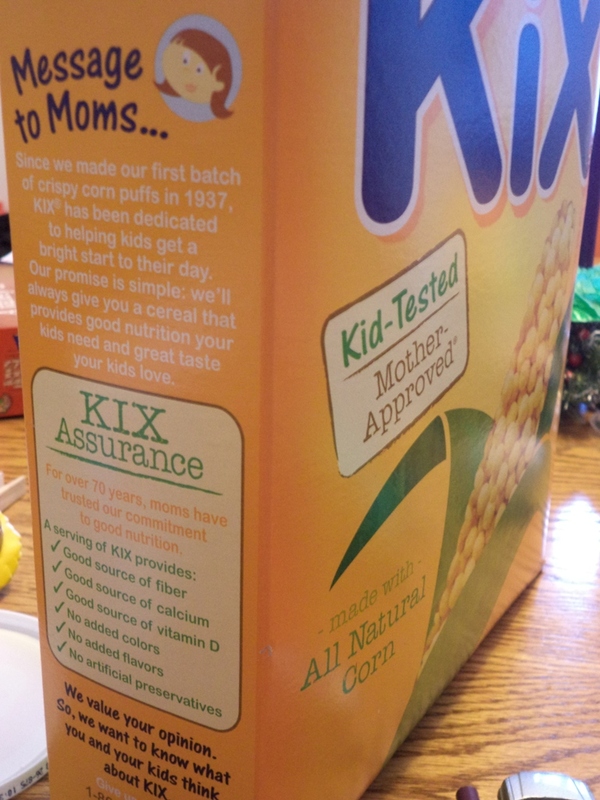 There aren’t any Kix-like, dad-excluding slogans plastered front-and-center. There aren’t any “Attention Mom” banners adorned at the top. The word “mom” really isn’t anywhere noticeable. For a few brief moments we were actually overjoyed about the possibility of a column lauding Betty Crocker for not pushing the “baking is only for moms” agenda. But then we read the fine print. How’s that for a red-spooned slap in the face, dads? You see, venerable Betty Crocker, you may be surprised to know that some dads like to bake for their families. Dad doesn’t come home from work with mom waiting there and hot food on the table like it happened a few generations ago. What’s more, boys like to bake too, and you could learn a lot from Hasbro, makers of the Easy Bake Oven, who developed a boy-friendly version of their classic toy after one young girl simply spoke up. Betty Crocker has been around for almost 100 years, and has been moderately progressive in modernizing their female likeness over time. But their treatment of dads in today’s modern world where fathers clearly do more than past generations makes them look stuck in the past. No one should know better than Betty Crocker how the tiniest ingredient can alter an entire recipe. That’s exactly what happened in BC’s latest ad blunder. We’ll be surprised if we ever hear from Betty Crocker, seeing how they’re operated by General Mills, makers of two of the most dad unfriendly brands around: Cheerios and Kix. We’ve tweeted them before, and they’ve ignored us like a stale cookie crumb. Still, we’ll keep trying, because a small change in marketing approach would require “no superpowers needed,” and then we can all celebrate together with a Betty Crocker dessert. Until then, we’ll just keep using another brand actually created by a man who knew a thing or two about cakes. The phrase “to those whom much has been given, more is required,” is best known for its origin in the Bible. I think it applies to cereal, too — specifically, Cheerios — and we’ll get to that connection in a minute. But let’s think about Cheerios first. It’s one of the strongest brands around. Its no-nonsense black serif font on the plain yellow box is iconic. The circular shape is basic, pure and often imitated. Its ingredients include whole grain oats and just one gram of sugar. Nearly every off- and store-brand has made a knock-off version and given it a similar name. The taste is simple and unchanged virtually since the beginning, unless you count the explosion of its flavored offspring, such as Reduced-Fat-Yogurt-Berry-Blast-Cinnamon-Coated-Sprinkle Cheerios (seriously, do we need this much variety?). I would argue that Cheerios has been in every American home at least one point in time since its inception, and I doubt many brand names can proclaim that. We eat it. We make snack mixes with it. We feed it to babies. We feed it to birds. We make crafts with it. We give it to kids in church to keep them quiet. We string it on Christmas trees. We love it. We trust it. Its wholesome. It sticks on noses (try doing that with Kix). It’s certified by the American Heart Association! It’s genius! You see, we’ve made Cheerios a part of our lives and trusted it for years, and I always thought it was a decently mutual relationship: General Mills kept making it, we kept eating it and everyone was happy. But then they started saying that it’s the cereal which mom’s choose, and dads instantly became alienated and left out. More should be required of one of the top cereals around. They’re supposed to be an example for everyone else. Do you ever see the NFL say, “It’s the sports league more dads watch with their boys than any other”? Cheerios, I thought you were better than this. We’ve all given you so much, and more should be required. I have the last box I’ll ever buy in my cupboard, and I’m not even going to eat it. We’ve all heard of stories how the mom used to drag the entire family to church, right? There must be some heavenly market research somewhere backing up this stereotype. So why don’t most churches appeal to the moms? Let us bow our heads and thank heaven above it’s a good thing churches don’t behave like the makers of Kix cereal. On the front of their famous yellow-orange box you can’t even find the word “cereal” emblazoned, but you certainly can find a rectangle larger than the General Mills logo itself proclaiming their longtime slogan, “Kid-Tested, Mother-Approved.” And they even have this saying copyrighted! If it wasn’t clear yet as to exactly who they want to pick up and buy their cereal, simply turn the box slightly. The 800 number comment line is listed under all of this, and it makes me wonder if a dad would even dare call it after their promises and claims to moms all over. Dads might need to make a deal with the devil to ever get this cereal to change. 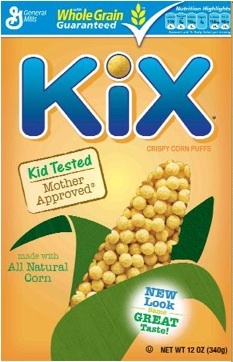 Kix, you’re in my prayers. Amen.